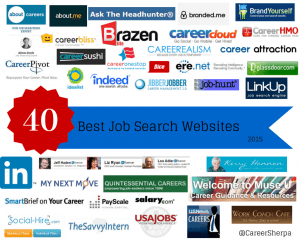 These carefully selected resources, I believe to be the 40 best job search websites to provide job seekers with information to land a job faster. So often people say to me, “I need to write a cover letter” or “what questions should I be prepared to answer during an interview“…these websites provide you with these types of answers (and more!) Bookmark them! Finding reputable sources is important to me, as I’m sure it is for you too! The writers on these website resources are active in the career and job search space, or the content has been screened. They write from experience. That speaks volumes in my opinion. 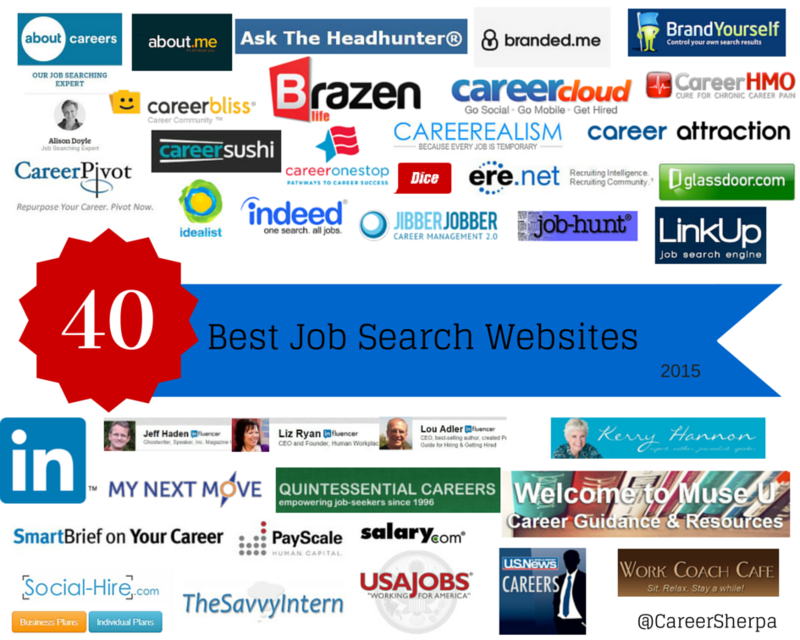 I just posted a list of the top 40 Twitter accounts for job seekers. You can find the list on Twitter here. Most of those 40 people have blogs which I encourage you to visit. We all know about Monster and CareerBuilder, as well as the other mega or niche sites (well, at least you should). So I don’t need to give them more attention. Nick speaks from a recruiters perspective, answering job search questions most other recruiters won’t or don’t. You’ll find many voices reporting and writing about career trends. including: Ask A Manager, Lindsay Olson, Keppie Careers, Collegial Services, Vicki Salemi, Kontrary, Jobhuntercoach, LinkedIn, Career Sherpa (yes, that’s me), Career Valet and Personal Branding Blog. Many of your job search questions are answered or addressed here. The content is provided by Susan P. Joyce, founder of Job-Hunt.org. The older content was the voice and reason of Ronnie Ann. Looking for sample cover letters, resume samples, scripting on what to say? You’ll find it on these sites. A rich resource with tons samples and examples. Not only does the Daily Muse provide helpful articles, it also offers career and job search education online. You’ll find videos, email classes, downloadable guides and more! Add yourself to the Insiders List and receive notifications about the free webinars and other online training. Plus you’ll find job search advice and tips here too. Some free and but mostly for-fee online job search and career resources from J.T. O’Donnell. If you are more seasoned (read older) job seeker, you need to understand the issues, biases and how you can spin your experience into a valuable asset! There aren’t enough resources for this demographic. I hope more rise to the top! Marc Miller focuses on helping Boomers pivot into the next opportunity. Kerry’s writing appears on Next Avenue, Forbes, and AARP, but you can find it her articles on her site. Brazen Life provide articles on navigating your career. YouTern’s blog doles out tips on making your internship a success! But it isn’t just for interns. The articles selected for Savvy Intern come from a variety of sources and apply to almost everyone job searching! Is an online gathering place for recruiters and serves as a forum for recruiters to network, share best practices, and learn from each other. If you want to better understand the challenges and issues faced by human resources and recruiting industries, this is the place to start. Career & Interview Advice is where you’ll find new content published by writers and career pros. While there is a lot of information on this site, what I like is their “Our Top Picks For Candidates” which are hand-picked job search and professional networking articles from across the web. Yes, you may already be on LinkedIn, but are you really using it? This is a job search and career tool on a list all by itself! No matter where you are in your career or what kind of job you are looking for, LinkedIn is a community and resource you’ll want to get familiar with. Since LinkedIn is often a go-to news feed for article and information on various topics, I also wanted to draw your attention to some of my favorite influencers to follow for job search and career advice. Sponsored by the Department of Labor, this site is slated for an overhaul soon! It has information on starting your search, finding a career match, information on re-training, and more. Dice is known as being a job board for technical candidates (IT, etc.) Their news and advice applies to many more types of job seekers as well. Typically, the tech scene is leading the way in recruiting trends, especially as we head into a more competitive hiring market. And, I think you’ll begin to see Dice leading the way with other forms of recruiting. Research what employees are anonymously saying about companies, get salary information and see what the interview might look like. Research careers, assess your interests, and more. This is essentially a database sponsored by the U.S. Department of Labor,Employment & Training Administration, and developed by the National Center for O*NET Development. A listing of non-profit jobs, volunteer opportunities and internships. Looking for a government job? USA Jobs is the Federal Government’s official source for federal job listings across hundreds of federal agencies and organizations. This site has many offerings from social resumes, to Hidden Job Lead alerts, and Jobs with Friends which lists the people you know inside companies that have job postings. A tool to organize and manage your job search! It goes far beyond a standard spreadsheet. It helps keep track of and manage relationships, job postings, target companies and more! No longer exists as a personal branding tool. Easily create a single webpage highlighting you. List your other social media profiles, create lists, join a community of people valuing online visibility. Use this tool to manage and improve your online visibility. If you didn’t find what you were looking for, you can find even more sites to help with your search on The Top 100 Websites For Your Career by Forbes from 2013. I read hundreds of articles from great sites. This list of 40, combined with the 40 Must-Follow Twitter accounts is where I spend the bulk of my time and consider the best resources around. I know there are more and I know I have overlooked some. 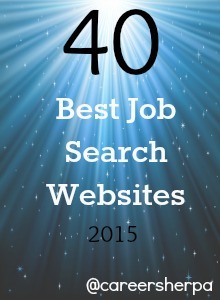 If you have a job search resource that’s not here, let me know!